Is Neutrogena Visibly Renew really a wonder product? Today I would like to talk about one of my favorite beauty products. Neutrogena is an old cosmetic brand famous with their hand cream as we already know. But during the years they have a larger product collection. From face and eye series, to body series... Neutrogena Renew series help our skin to renew his elasticity at 10 days. Specially promises to correct the inner thigh skin, abdomen, under arm sagging skin. As a user, I can say that 10 days is a little bit big promise, but with a permanent use you can notice the difference. I also wondered about these promises and bought the hand cream and body lotion from the visibly renew series four years ago for the first time. I've been using it after shower. I've taken the lotion for the soft skin on my inner legs, but I'm using it all over my body right now. I didn't expect a miracle. Since it left a velvety feeling on the skin after the first use, I thought it would be best to use it as a whole body lotion. The smell is nice apart. I don't even need to use extra perfume (But I do while I love perfumes :)). This is also ideal for summer and winter days. 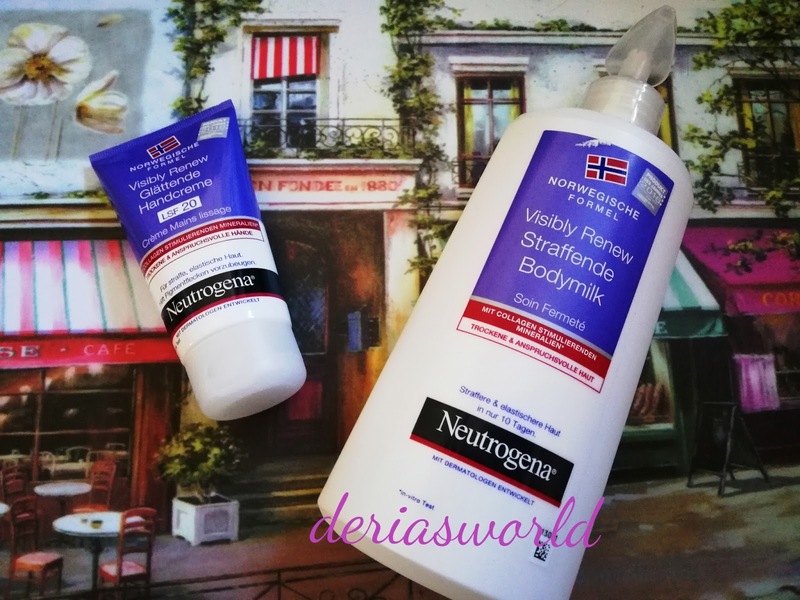 Neutrogena visibly renew body lotion, moisturized my skin which was extremely dry. My skin is so dry that if I don't wear cream, it will crack. One plus points are also picked up by the skin because it is very quickly absorbed. When it comes to tightening ... It helps with elasticity but I think you need also exercise for a toned body; I don' t believe that only beauty products could help. Nevertheless, I saw the benefits and I did not expect a miracle of a cream, I continued to use .It' s my fourth year now and I am buying it again and again. In the second week there was a revival of the skin. So now I do not exaggerate a soft region in my inner leg was not like stone, but there was a strain and recovery began in that area. But I have to say that I am also working out regularly. 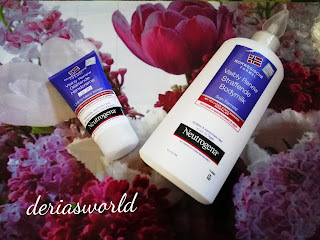 Hand cream from neutrogena visibly renew series, made my hands like soft cotton. I will continue to use it myself. Beauty products are supporting us with exercising and a balanced diet . As a user I can recommend it. It's a great product presentation. I got a lot of information about the product. Thank you very much to the editor. That hand cream sounds really great! I love this brand, especially during winter when skin becomes dry and needs lot of moisturizing. NEW WISHES POST | WEEKEND WISHLIST!